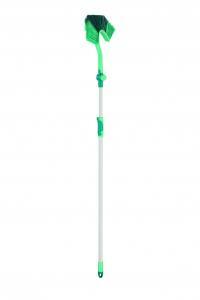 Leifheit wall and dust broom Dusty puts an end to unpleasant dust traps, which cause problems particularly to persons suffering from an allergy. 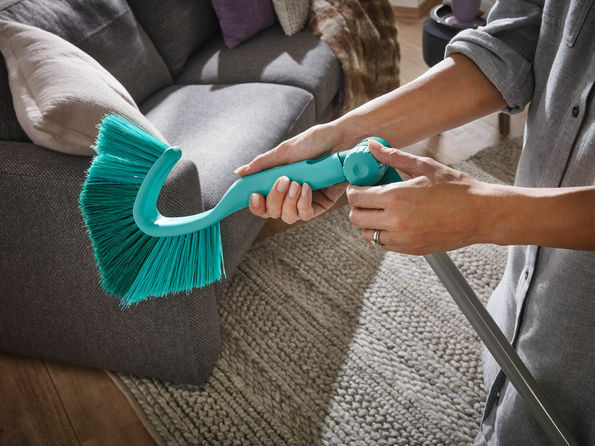 Its special triangular shape removes dirt and dust of every corner and the joint enables the adjustment of different cleaning angles. The flexible joint can be bent in a way that even hard to reach areas like doorframes and the top of armoires can be cleaned efficiently and easily. Simply extend the telescopic handle to the desired length and lock the needed working angle on the broom. Even behind the curtain rod the wall and dust broom Dusty can be used thanks to its improved design. 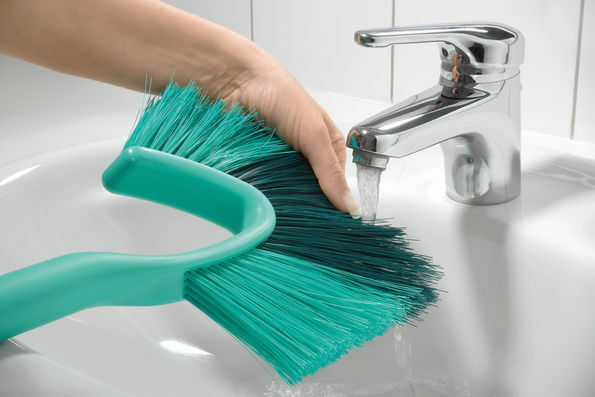 The telescopic handle is extendable to a working height from 1,40 up to 2,20 m. Therefore wall and dust broom Dusty is suitable even for high rooms in old buildings or fronts. 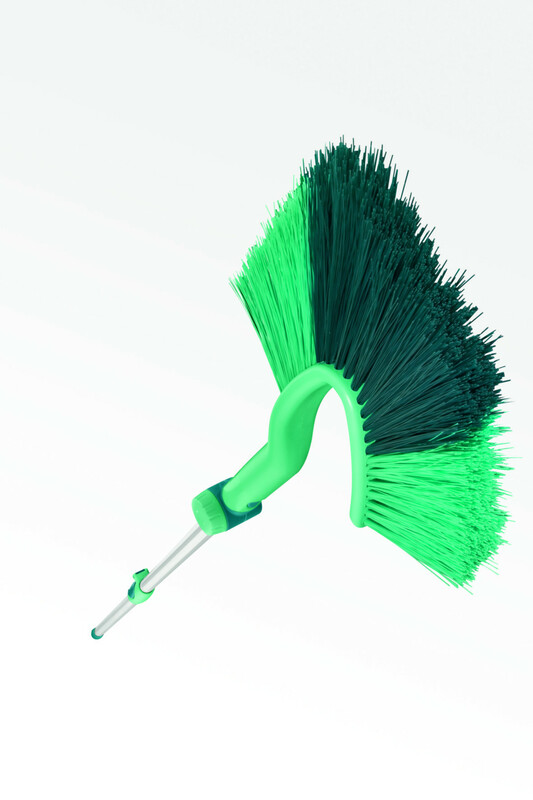 Maximum handle length is imposing 3,70 m. Dusty is also usable as hand brush in case it is needed. 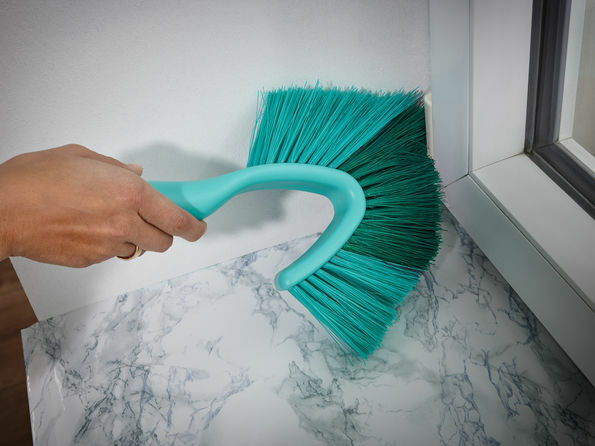 Simply remove the telescopic handle and Dusty turns into a practical hand device.